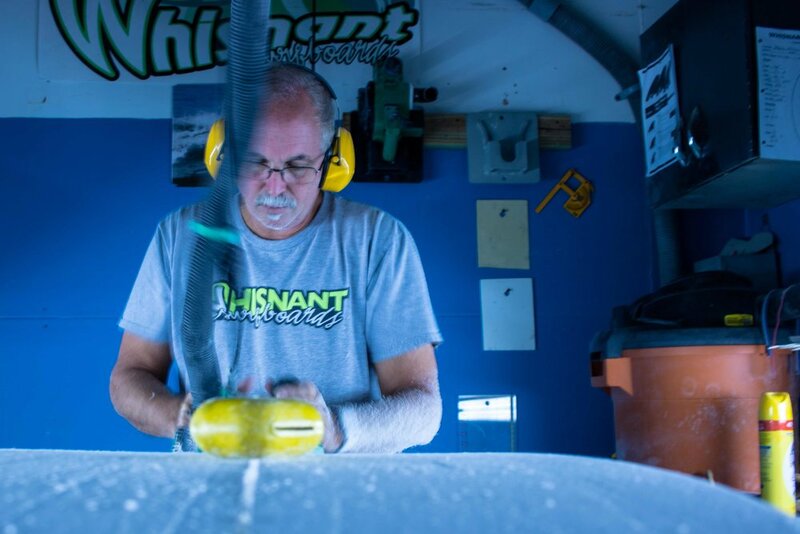 Born and raised in the Jacksonville area, Mike Whisnant started his board building career as a sander back in 1973. 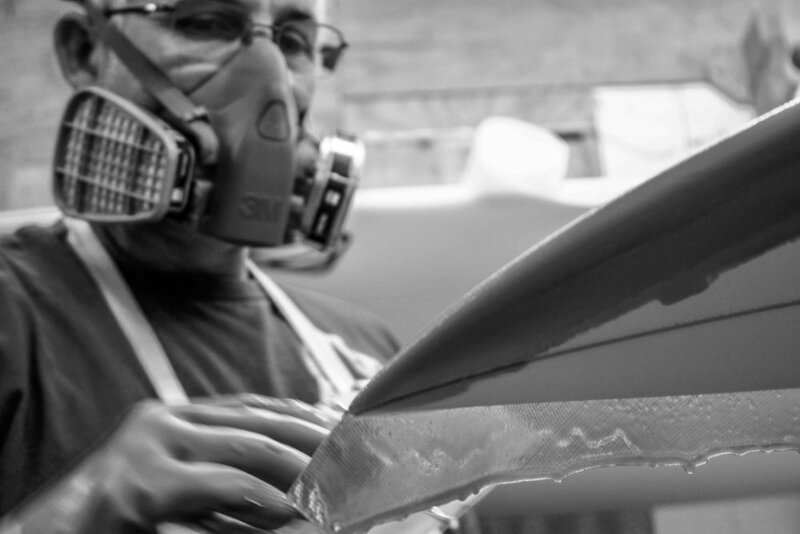 Over the years, he mastered every aspect of the craft – from sanding to glassing - before shaping his first board. “I was getting frustrated with the shapers around,” recalled Mike. He had his own ideas for board design that the shapers in the area wouldn’t try, and so Mike went rogue and shaped his own. Eventually it got him fired from his glassing job. 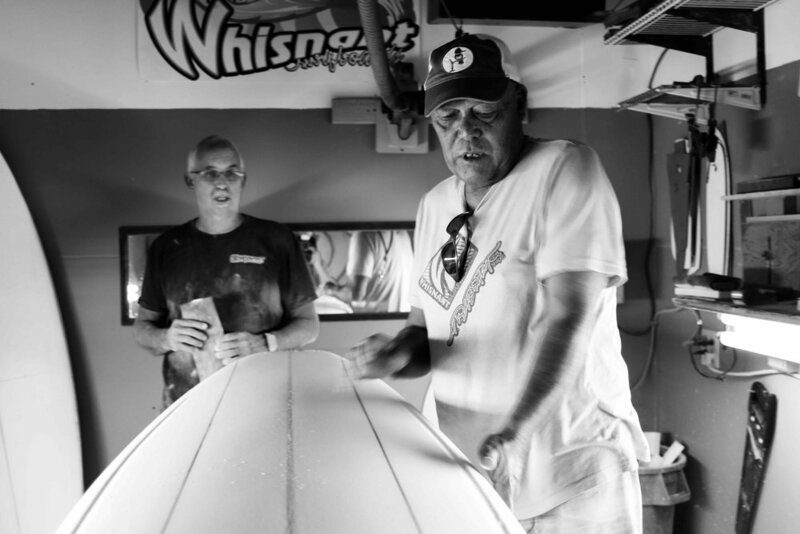 So in the summer of 1989, Mike launched Whisnant Surfboards. Twenty-nine years later, he still shapes every board by hand and does the glassing and finishing work himself. A true craftsman, he’s earned top honors at Surf Expo, winning the Florida Shape Off in 2011 and 2015, as well as the Masters of Masters title in 2016. Mike is presently the subject of a short documentary appropriately titled, Shaper. 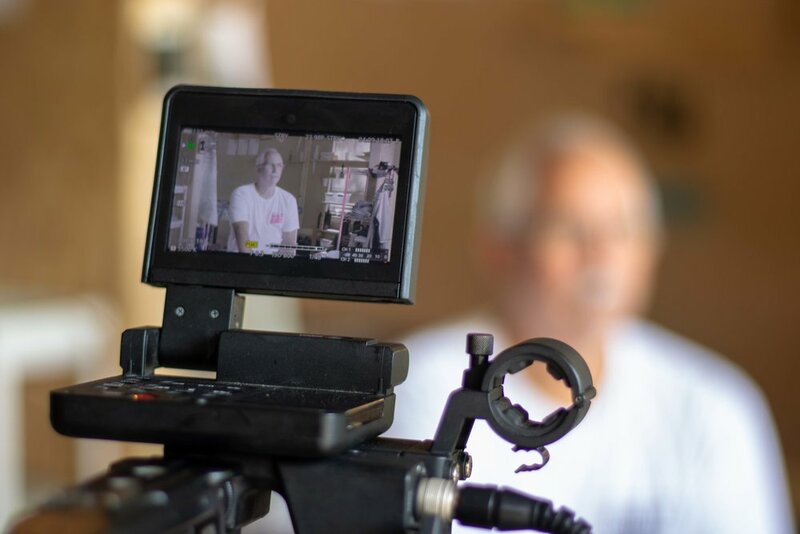 While he has been approached in the past for similar projects, Mike was drawn to the filmmakers and their desire to tell a genuine story about the surf community in Florida. 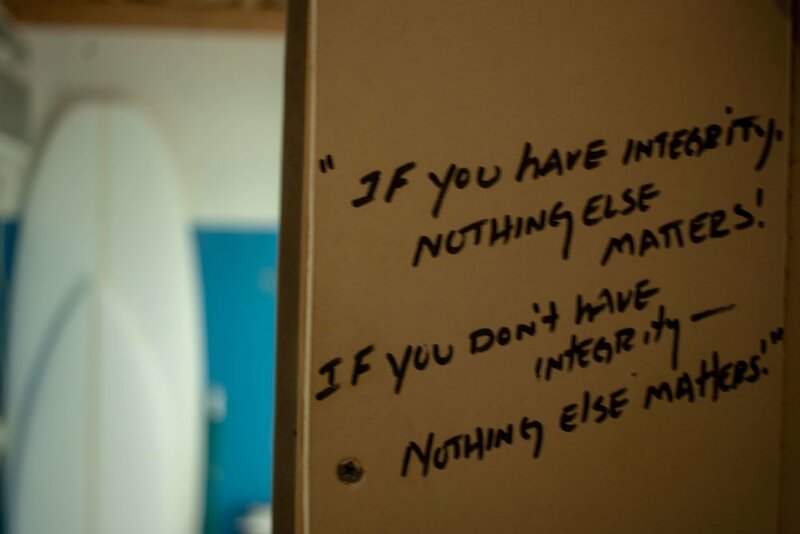 “The film is about honoring and paying respect to the hard and devoted work in which local shapers put themselves through almost every day of the week," says the film's director, Ryan Magennis. 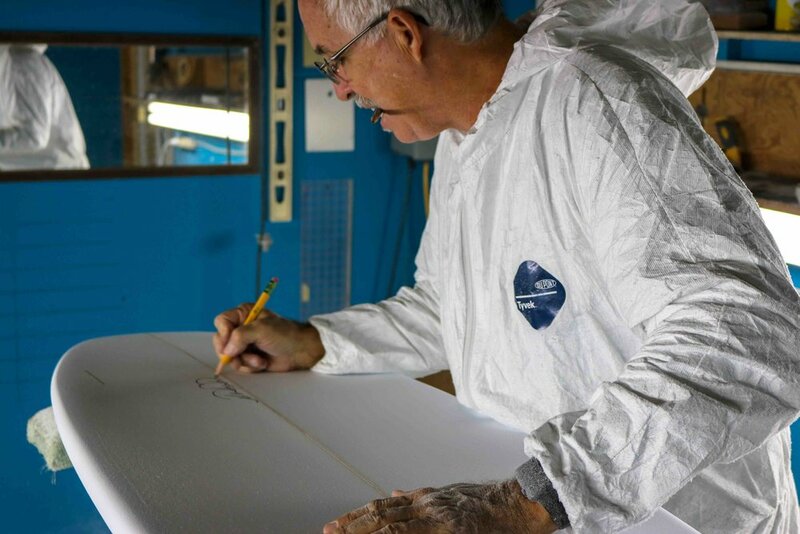 "We focused in on long time shaper, Mike Whisnant, because he has been working as a shaper for a prolonged period of time and he has seen the evolution of the surfboard." Shaper is currently in post production, scheduled to release later this year. 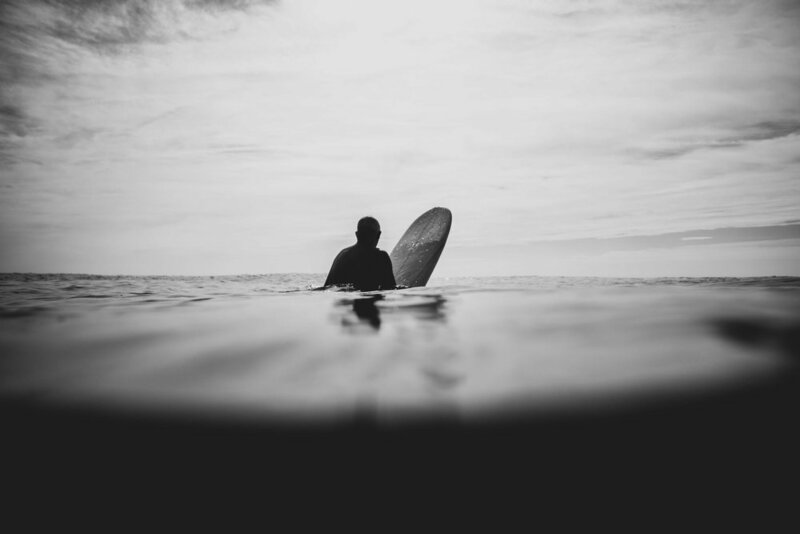 By the time he started surfing in 1971, surf clubs had formed up and down the coast and guys like Clay Bennett, John Tully and Danny McDaniels (pictured above) emerged as icons to budding young surfers like Mike. They are considered among the local pioneers of the Jacksonville surf community. Today, Mike shapes for Danny and the opportunity to build boards for someone he looked up to as a kid does not fall short on him. “It’s so humbling,” Mike reflects. In a sense, his board building career has come full circle, and the opportunity has further legitimized his efforts and the hard work he’s put into his craft.